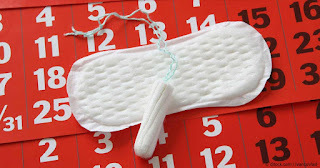 GWERU – Love Trust Zimbabwe is implementing a project aimed at assisting poor rural school girls to remain in class during their periods by availing free sanitary wear to them. Over the last school term, the Gweru community-based humanitarian organisation assisted 600 female pupils to get sanitary pads and plans are being made to expand the project next term. The organisation has also distributed bicycles to a number of pupils at Chiwundura Secondary School who have to travel several kilometres to school every day and has also assisted others with stationary. Love Trust Zimbabwe director Ian Mathole said the organisation was concerned with the general welfare of pupils in poor communities, and wanted to give them not only emergency aid but life skills too. "We want to lessen the problems that pupils from disadvantaged backgrounds encounter daily in their desire to get an education. We are particularly worried that basic items like sanitary wear are not affordable for most rural girls and they are missing school because of that," said Mathole. He also revealed that the organisation had run a successful project called 'Back to School' which focused on following young school dropouts and giving them the necessary support so that they could go back to school.